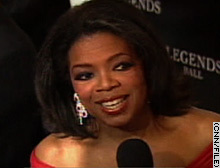 A spokeswoman says Oprah Winfrey will discuss the incident on air when her show resumes production. (CNN) -- Luxury store Hermes on Wednesday apologized to Oprah Winfrey for turning her away last week, saying that its Paris store was closed to set up for a public relations event when the talk show host stopped by. "Hermes regrets not having been able to accommodate Ms. Winfrey and her team and to provide her with the service and care that Hermes strives to provide to each and every one of its customers worldwide," the store said in a statement. "Hermes apologizes for any offense taken due to such circumstances." The store said the incident occurred on June 14 around 6:45 p.m., about 15 minutes after the store closed. It said Winfrey and her team arrived at a time when "a private PR event was being set up inside." Harpo Productions spokeswoman Michelle McIntyre said Winfrey "will discuss her 'crash moment' when her show returns from hiatus in September." "Crash" is a film dealing with race relations. The phrase "crash moment" refers to situations where a party feels discriminated against on the basis of skin color. The New York Daily News cited sources close to Winfrey as saying the talk show host was first rebuffed by a clerk and then a store manager. The Daily News reported Winfrey had gone to the store to buy a watch for singer Tina Turner, her dining partner that night. McIntyre confirmed that account for CNN. The New York Post, in its Monday Page Six gossip column, reported she was turned away because the store had been "having a problem with North Africans lately." In comments to CNN, an Hermes spokeswoman categorically denied that allegation. "There was never any discussion of North Africans," she said. "The story is not true." The spokeswoman said Winfrey came to the store 15 minutes after closing and a security guard informed her the store was closed and gave her a card, telling her she could come back the next day. Surveillance videotape of the encounter supports the store's account, according to the spokeswoman. She said the CEO of Hermes has called Winfrey's people to explain "the situation" and invited her to come back to shop in the store.